As an alternative to staying in a hotel again for your next holiday, why not experience one of the best kept holiday secrets? 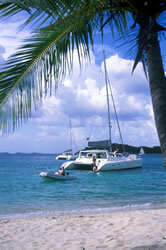 Experience the ultimate holiday, company incentive reward or romantic honeymoon on board your very own yacht! No matter what size, luxury crewed or bare boat, sail or motor, we have the yacht for you. 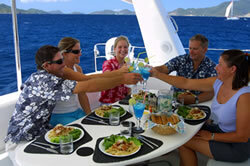 June Montagne Yacht Charters offer top quality service and professionalism. With over 18 years experience, they will match your needs with the finest crews in the business, the perfect yacht to match your budget, calendar and comfort, plus a choice of exotic destinations to choose from: The Caribbean, Florida, Bahamas, New England, South Pacific, Alaska / Pacific N.W., Western Mediterranean, Greece and Turkey, Croatia, Madagascar, Mozambique and the Maldives. Imagine your next vacation snorkeling, scuba diving, water skiing, or just tanning - all from your own private yacht lying at anchor. 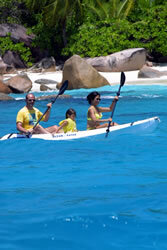 Contact us now to arrange a vacation of a lifetime. As always, customised service, confidentiality and discretion is assured.